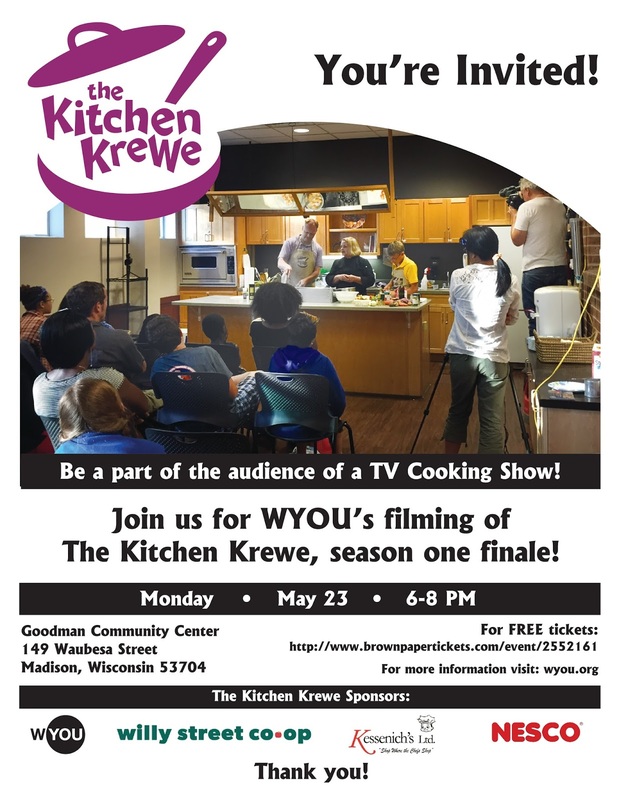 WYOU - Madison Community Television - WYOU.org: "The Kitchen Krewe" season one Finale! "The Kitchen Krewe" season one Finale! 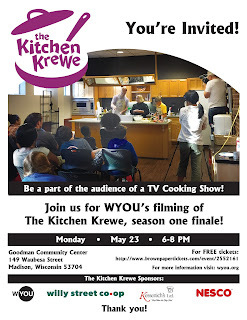 Get your free tickets here: FREE tickets to "The Kitchen Krewe" season Finale on Monday, 5/23! We are selling raffle tickets to win a NESCO 5-in-1 Quick Cook System. The drawing will be held at the end of the finale. Raffle tickets are one for $2, three for $5 (or 12 for $20)! Buy your raffle tickets at the show or online here: RAFFLE TICKET for NESCO prize be sure to include your email address and we will send you your lucky numbers. Winning number will be posted here and on Facebook. If you are the winner we will make arrangements to get your NESCO prize to you. Thank you for supporting WYOU!